Next month Florida will consider proposed changes that would make the Sunshine State the most recent to allow hunters to use silencers (suppressors) during hunting. Hunters of deer, turkey and other animals in Florida may soon be able to operate with lethal stealth under a state proposal to allow them to use silencers. The Florida Fish and Wildlife Conservation Commission will consider a proposal at its Sept. 10 meeting in Kissimmee to permit silencers, also known as suppressors, for shooting deer, turkey, gray squirrels, rabbits, quail and crows. They don’t quite muffle shots down to the sinister pop heard in the movies. But supporters say they can protect hunters’ hearing, reduce a rifle’s recoil and allow hunters to operate near residential areas without bothering people. Lethal stealth? Really? Come on Sun-Sentinel. Anyway, we’re seeing the usual anti-gun arguments that poachers will now use silencers (suppressors) to more easily poach animals and that bystanders won’t know that there are hunters in the area, etc, etc. Of course those of us who have used silencers (suppressors) know that they are mainly to protect our hearing. Also, the report on most guns, especially large caliber hunting rifles, is only somewhat reduced, not completely silenced. 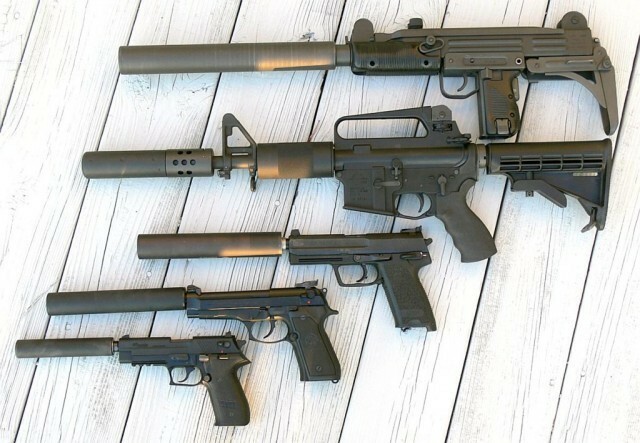 With the exception of a few calibers designed for shooting suppressed (such as 300BLK), most rifle calibers will go from ear splitting to very loud with the use of a silencer (suppressor). If the regulations are changed, Florida would join 30+ other states that permit suppressed hunting.